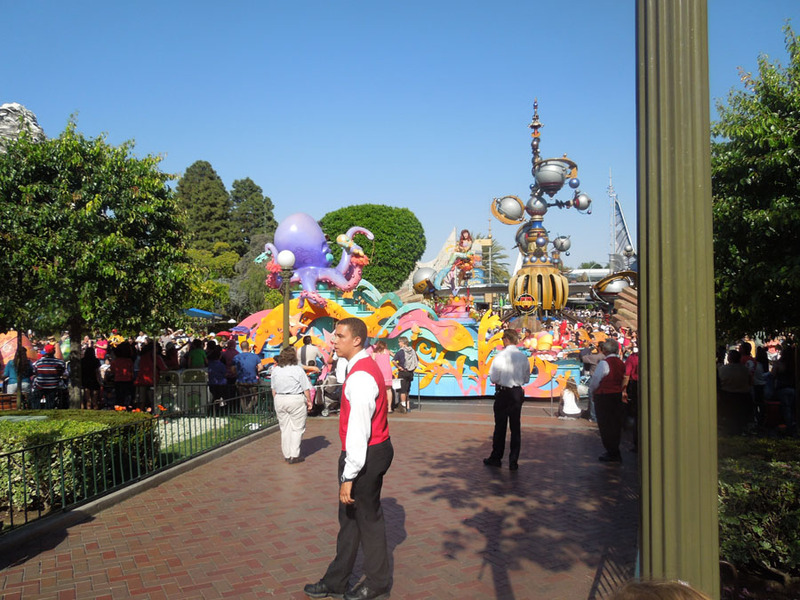 Main Street Photos: Introduction to Main Street and the entry arches, Night parade photos, day parade and fireworks. The arch photos are below. 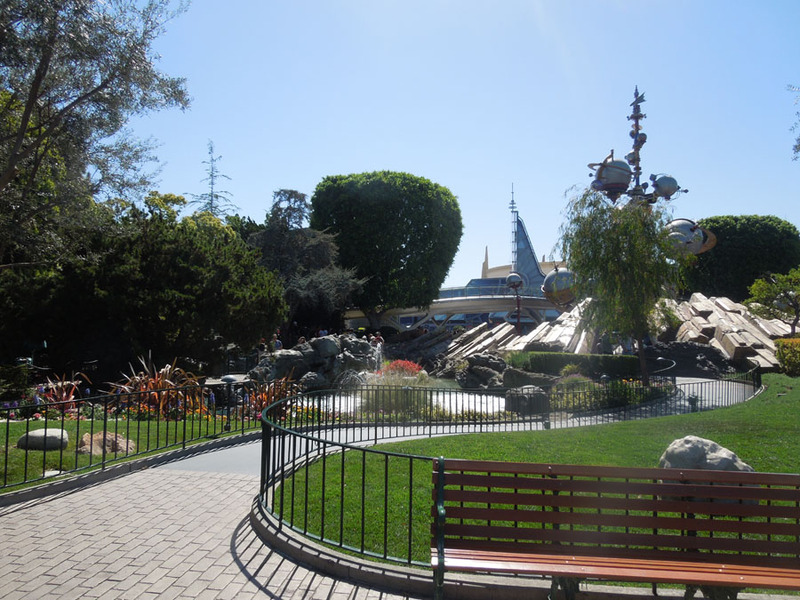 Click to see photos from train station, the south circle, inside shops, alley, street, Plaza Inn, north circle, Sleeping Beauty's Castle, Tomorrowland portal, Adventureland portal, Frontierland portal. 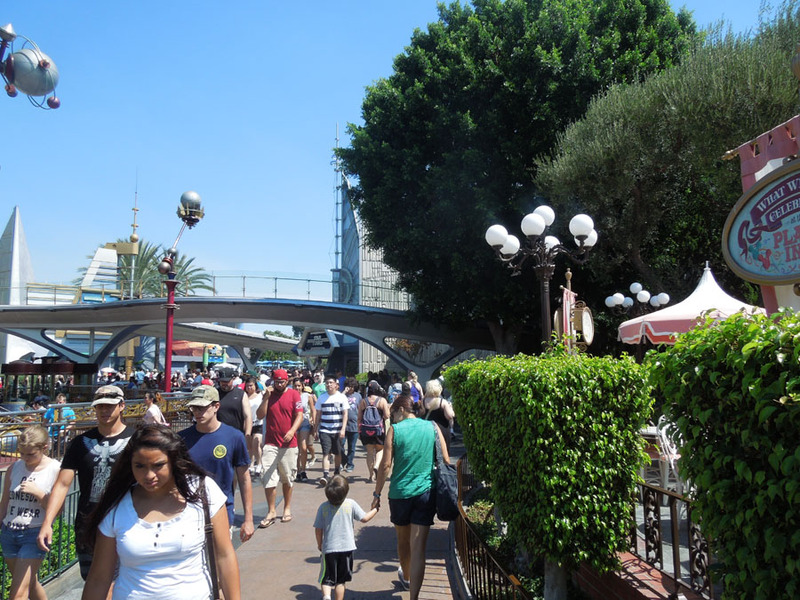 Walking from Main Street to Tomorrowland is a very common route on my visits to Disneyland. 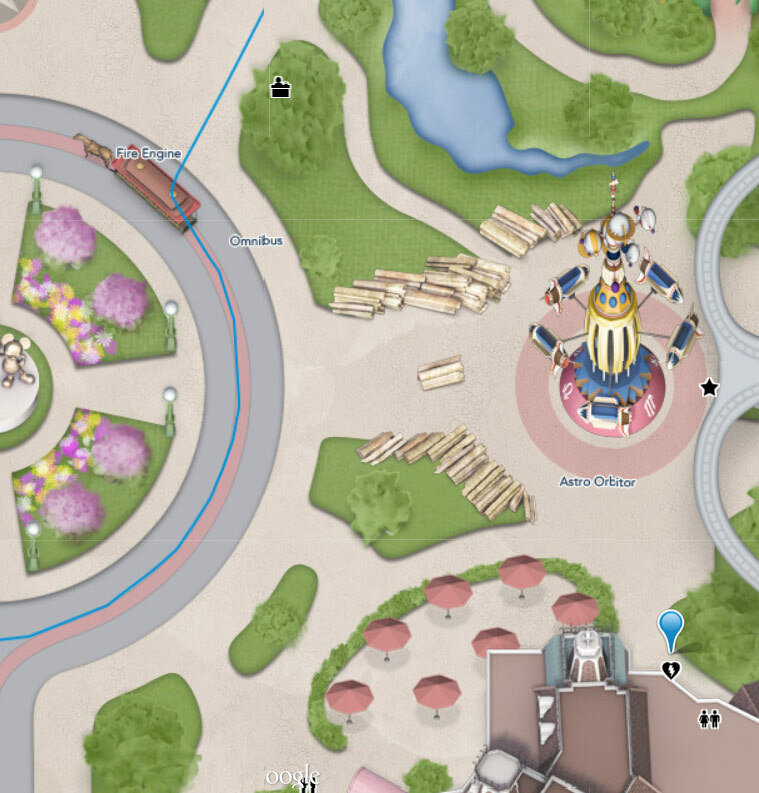 Plaza Inn is on this route as well. If there are high winds, these umbrellas will be zip-tied closed. 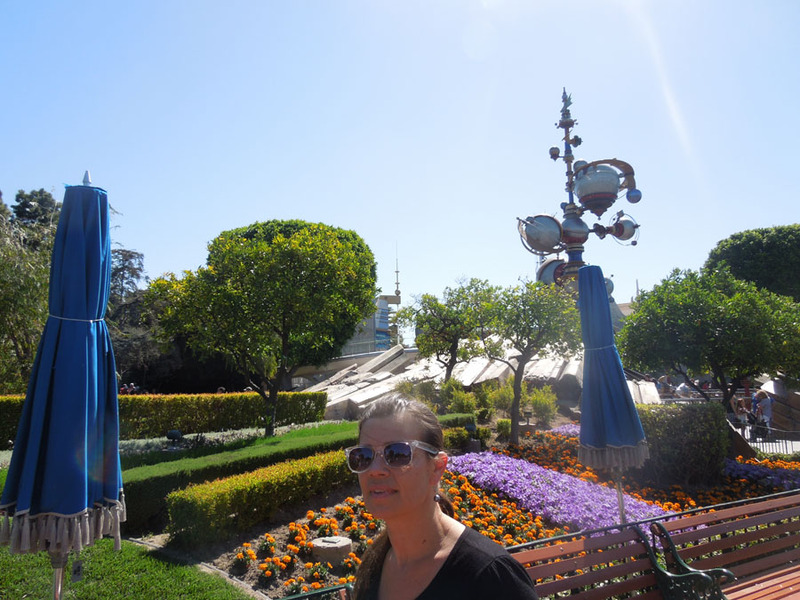 Approaching Tomorrowland from the Northwest, the castle at my back. 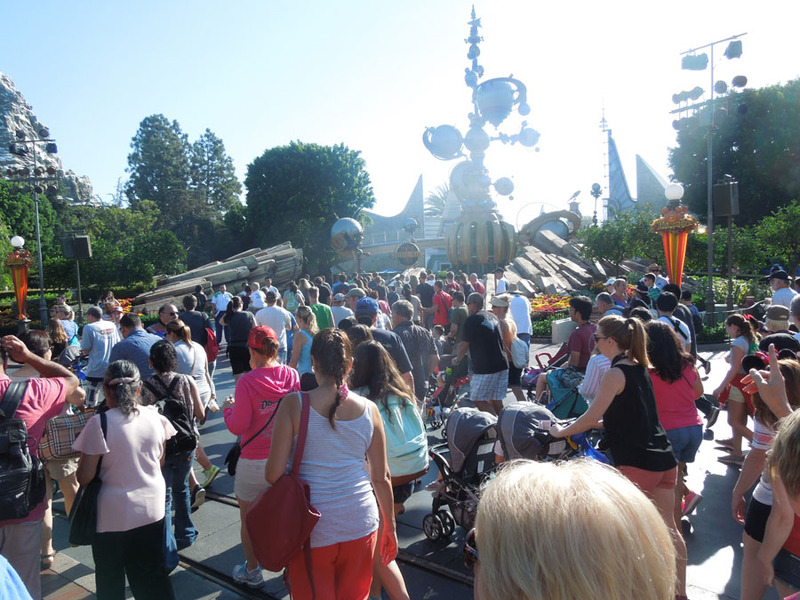 At opening, busting into Tomorrowland. 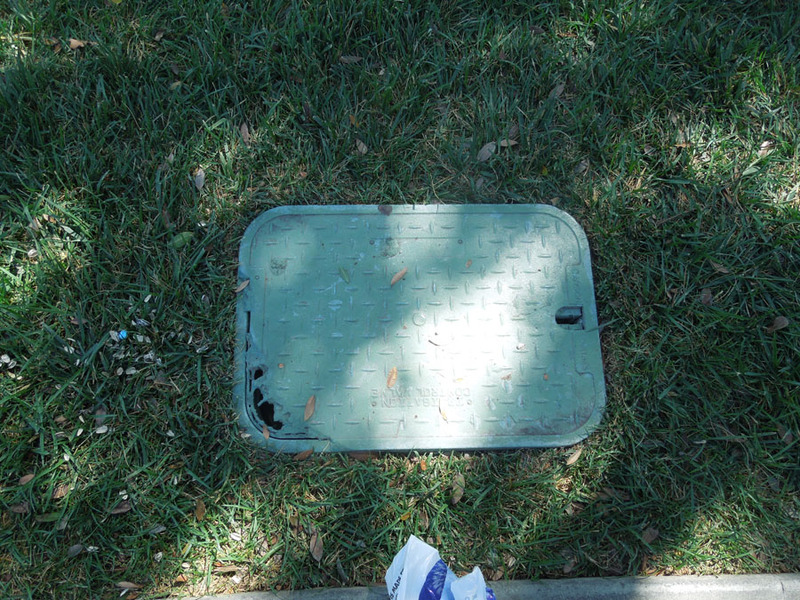 Lawnmower damage on a sprinkler/electrical control box. 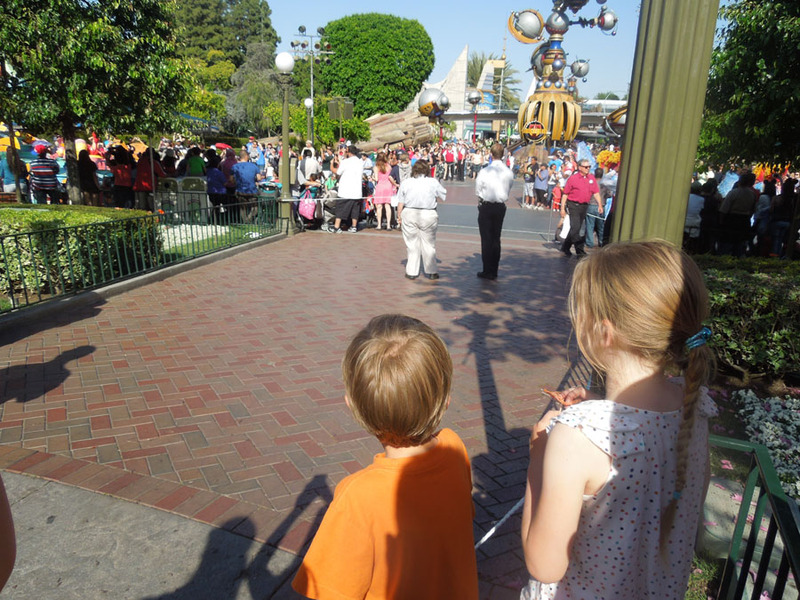 Waiting for the parade floats.